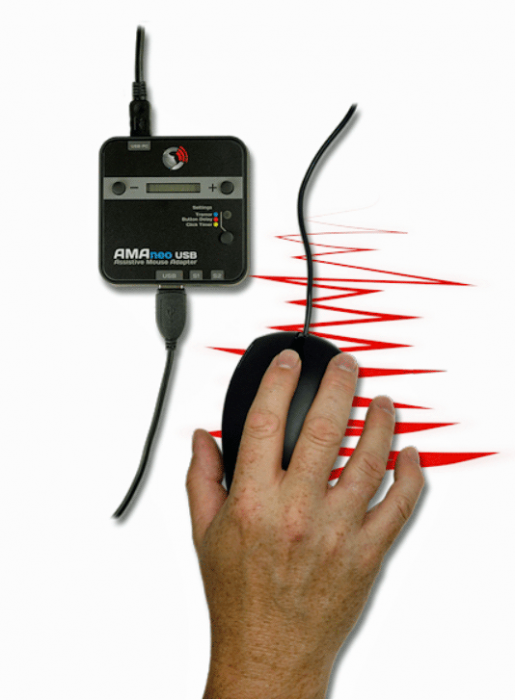 The AMAneo Anti-Tremor Assistive Mouse Adapter enables people with a hand tremor to use a computer mouse. It electronically filters the trembling of the hand, which can be very strong, so that the mouse pointer on the display moves smoothly. With tablets, touchscreen control is replaced by a normal mouse or an alternative mouse such as one offering head or chin control. 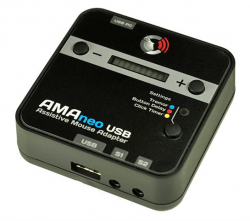 The Anti-Tremor Mouse Adapter is simply plugged in between the mouse and PC or notebook via USB or easily connected via Bluetooth with the tablet.